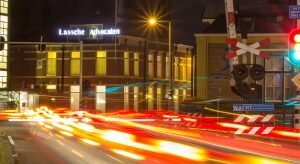 The Dutch attorneys of Lassche Advocaten handle court cases throughout the Netherlands. The Dutch legal profession does not make use of fixed rates. It is customary in the legal profession to submit a declaration of expenses on the basis of an hourly rate. In the Netherlands it is customary that, even if the action is won, a part of the costs for legal aid is charged to the client. The costs of a lawsuit are determined by a judge on the basis of fixed tables. These costs are generally to be paid by the unsuccessful party. The remaining costs incurred by the client for legal aid are charged to the client. In determining the hourly legal fee that Dutch lawyers apply in a lawsuit, the financial importance of the lawsuit, the lawyer’s specialization and experience and the urgency of the case are taken into consideration. The legal charges have been decreed by law and are dependent on the amount of the claim. In civil cases the services of a bailiff are called in. A bailiff serves the summons to the defendant and after the court case serves a writ upon the opposite party. As a rule there are two authorities. Usually the court in the first instance (Rechtbank) and a higher court for appeal (Gerechtshof). It is also possible that the cantonal judge of a court (sector Kanton or Kantonrechter) is the competent authority in the first instance. The cantonal judge is a sole judge who judges cases such as labour disputes, tenancy agreement cases and cases up to € 25.000,–. Appeal is only possible for sums of € 1750.- or higher. Appeal against a verdict pronounced by a higher court is possible by appealing to “Hoge Raad” (Supreme Court of the Netherlands). This is the highest law court in the Netherlands. The “Hoge Raad” does not consider the facts but only examines if the judge who handled the appeal verdict has applied the law correctly.